Let's get straight into it. What does it do? 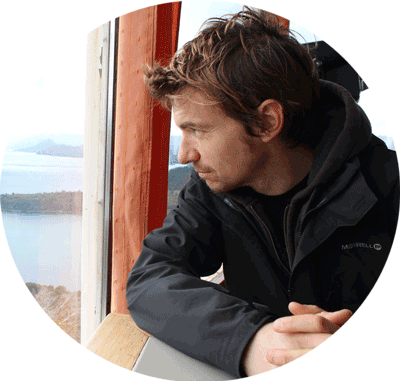 TripIt organises your travel arrangements in a neat, easy to read, and consistent format. 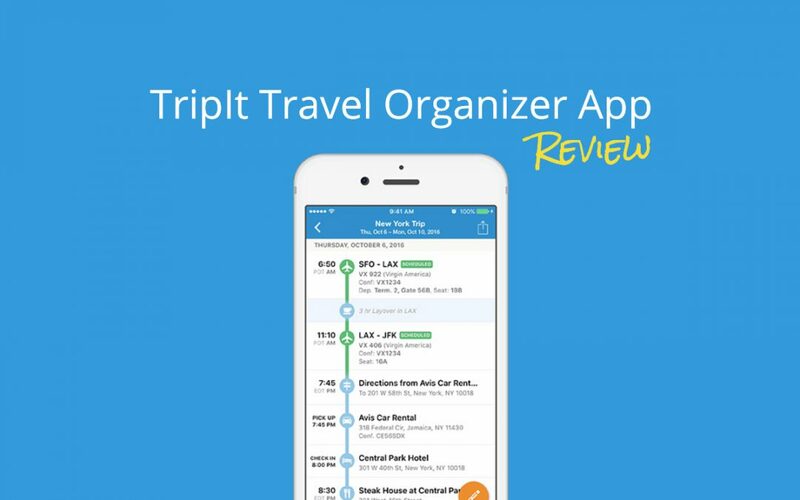 Tripit is a travel booking and itinerary application from Concur designed to let you “instantly organize” all your travel plans in one place. I’m a big fan of apps that help me cut down on administration tasks. Logging into airline portals and managing flights should be simpler. Tripit offer a solution to the multiple-itinerary logistics issue that many travellers have to deal with. 1 Why should you use it? 3 Is TripIt Pro Worth It? 4 How Well Does It Work? Use Tripit Pro to organise trips, save time, and easily view all your schedules. For people who want to jump straight in, download the TripIt app from the App store here and Google Play. Once you’ve downloaded the app (or are using the website) you will need to enter some details to start your account. You can sign in with an email account and password or use a social media account. I chose to use my e-mail address for login access. I am not a big fan of connecting my social networks to mobile apps. The social media login is a bit more streamlined (no password required) so you might prefer to use that. You also have to allow the app access to your email service’s inbox in order for it to automatically import travel itineraries and booking for you, so make sure you use the e-mail address you typically have all your travel info sent to when you make plans for a trip. Is TripIt Pro Worth It? There is also a Pro subscription option for an additional annual fee that adds useful features frequent travellers will love such as Seat Tracking, Check-In Reminders, Rewards Point Trackers, Flight Status Alerts, Check-in Reminders, Alternate Flights, and more. At a very reasonable $49 a year, it's definitely worth the money. In the interest of getting into the best of what Tripit Pro had to offer, I took the plunge and signed up for the 30-day Tripit Pro trial. You do have to enter a credit card in order to get access to the free trial, but the trial is 30 days, which should give you plenty of time to decide if the Pro features are worth the annual cost to you when you travel. After I verified my email to finalize my login credentials via mobile web, I fired up Tripit from my apps screen. To book a trip manually, a large friendly orange and white plus sign button right on the app's home screen gets you started. Tapping the button pulls up a blank form with all the necessary details for your trip such as destination, travel dates, a name for the trip (If I travel for work I might name the trip with a project name for tracking expenses), and a description section for any notes about the trip you may want to jot down. There are also two switches to mark the trip private to keep it unshared, and to mark if it is a business trip or not, which really comes in handy for deducting business expenses come tax time each year. Once you have entered and selected all pertinent trip information, you just need to tap the light blue floppy-disc-shaped Save button in the top right corner, and the trip now appears in your home screen with your travel dates, in addition to the length of the trip and how long until you depart for the trip. When you tap on the trip itself in the list, it opens up the Plans screen, where you can add your more specific travel information. Since I had not set up any of that information yet, I had to tap the Add Plans button to enter it manually. I tapped on flight first, and then entered in some potential flight information for my outbound flight. As soon as I had saved the flight numbers for the first two legs of the trip, Tripit immediately added them to my Plans screen and displayed the current status of each flight as well, both of which were showing All Clear with no delays. It also had the option to use the Pro features like Seat Tracker and Alternate Flight right on the Flight screen for easy access. Tripit Pro also had another extremely convenient feature I had not previously encountered in a travel app: at the bottom of the flight screen was a row of side-scrolling buttons with a map of the departing airport, a list of lounges at the departing, a map of the arrival airport, its lounges, and available ground transportation at arrival. In short, with just two taps, I could quickly access all the important information I needed to navigate both airports right from where my flight information was listed. I tend to struggle with airport navigation and finding a place for a quick snack or drink doesn’t often work well for me since I am not able to find and get to my gate fast enough before departure to enjoy any R&R in a lounge. However, if I can map out my transition in advance, this allows me to schedule extra time for that brief break before my next flight. After looking at the handy navigation tools in the flight screen, I proceeded to add car rental and hotel stay information to get an overall idea of what a complete travel plan looked like in the app. Everything was neatly listed with times, dates, important information, shuttle times from the destination airport to my hotel, and literally everything I would need to know from my doorstep to my destination lodging. It even had the hotel address and car rental addresses listed to make navigating via Google Maps a breeze. Best of all, there was not a single hiccup in the operation of the app the entire time, and all information pertinent to my trip available from other sources updated near instantly after I clicked save for each entry. In order to test out all features completely, rather than book and cancel travel plans for myself I asked a colleague to forward me their booking emails from their upcoming trip out of town for business. Sure enough, the app immediately added a trip to my Not Traveller column of the home screen, and I was able to view real-time flight and travel updates regarding this co-workers trip. I was also able to edit the way in which the trip displayed information according to my preferences for flight, car rental, and hotel. The convenience and speed with which this app operates is nothing short of astonishing, and I could instantly access or share every detail of my trip and my co-workers trip with just a couple taps on my phone. Now that I had real data to play with, it was time to test the Pro Features. I started with Seat Tracker. This handy Pro feature allows you to set alerts for seating availability and any changes in seating in real time so that you can select the best possible seat or change your seat if a better one opens up. When I added a Seat Tracker, the app pulled up a diagram of the aircraft for the flight I had listed, and highlighted my currently booked seat. I then entered my preferences for a better seat using the Select Seat Preferences menu and tapped save. If a better seat opened up, it would pop up an alert on my lock screen that a better seat had been found and I would be able to contact the airline to make the seat change for my ticket. The only part that took a little while was loading the diagram of the aircraft for my specific flight. But selecting an alternate seat to keep an eye out for was quick and easy, and once the aircraft diagram was downloaded for that flight number it loaded near instantly after that. Next, I decided to test out the Alternate Flight utility. 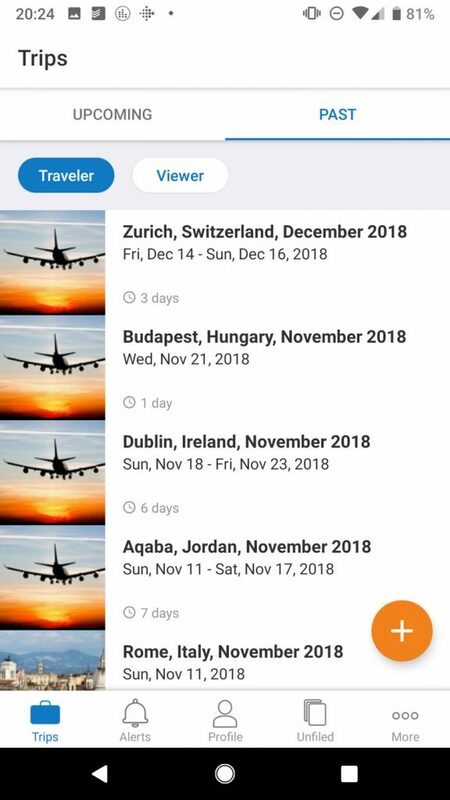 This Pro feature lets you check listings for alternate flights departing on the same date or in the same time frame as you current flight, thus allowing you to search for earlier or later departing flights directly from your mobile device. The default search is for an alternate flight in the same time frame for the same airline, which yielded no results on my first search. Once I altered the search criteria using the Search button, I was able pull up a full list of flights departing the airport all day from my starting location and browse to see the number of available seats, as well as which specific seats were still available. It did not list the difference in fares, but when you need to make a flight change and want instant access to what else is available, you can worry about pricing out the best flight when you contact your airline for a refund or go to book an alternate flight time with another airline. The speed at which Tripit pulled up flights and departure times was very satisfying though, and the ability to near-instantly browse available flights and seats when your flight has been cancelled or delayed and you are on a tight schedule is a level of convenience I never knew existed. Generally, if I needed to choose alternate flights in the past I would have to go from airline to airline and ask them to search for me, or I’d need to break out my laptop and browse for flights that way. The final Pro feature I looked into was Flight Refund Monitoring. The way this feature works is by constantly scanning airline prices regularly in order to see if a better price for your fare comes along that is lower than what you paid when you booked your flight. If Tripit Pro deems the difference in price claim worthy, you get an alert on your phone letting you know to contact your booking agent or carrier to file for a refund. This feature can easily save you the cost of your annual Tripit Pro subscription with just one flight refund, so it is definitely worth configuring and using for each and every flight you take. 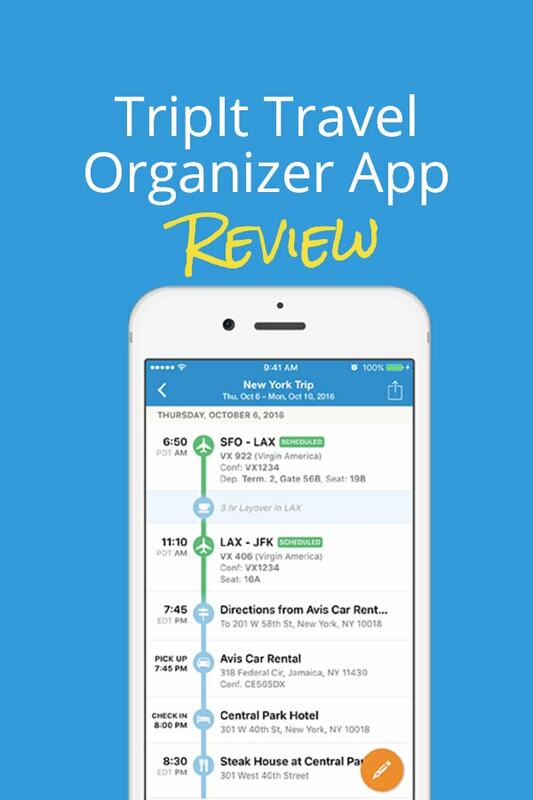 Overall, this app is an incredibly powerful and convenient tool for regular travellers who need to keep their colleagues and loved ones in-the-know about travel plans while maintaining access to all of their travel information at the mere tap of a smartphone screen. I really liked the way that the widget can be configured to allow access to updated travel information right on your phone's home screen or additional app screen without having to find and tap the app’s icon. It’s like having an instant memory recall for all of your information with just a couple taps. Furthermore, the TripIt Pro subscription service will save you in time and money a great deal more than their asking price for a year, especially if you are a frequent flyer who is on the road or in the air most of the year. I also cannot emphasize enough how simple the app interface is to use and how easy it is to add and edit trip information. I find that the older and busier I get the more absent-minded I become, and having all my important travel information like my flight numbers, gate numbers, and ticket numbers readily accessible in one place on one lightning-fast app is an absolute lifesaver. The best part about Tripit though is automated importing directly from your e-mail to a well-designed, easy to use, and useful travel organizer that keeps you on time and arms you with all the latest information affecting your trip in real time so you can make smart travel decisions on the go. 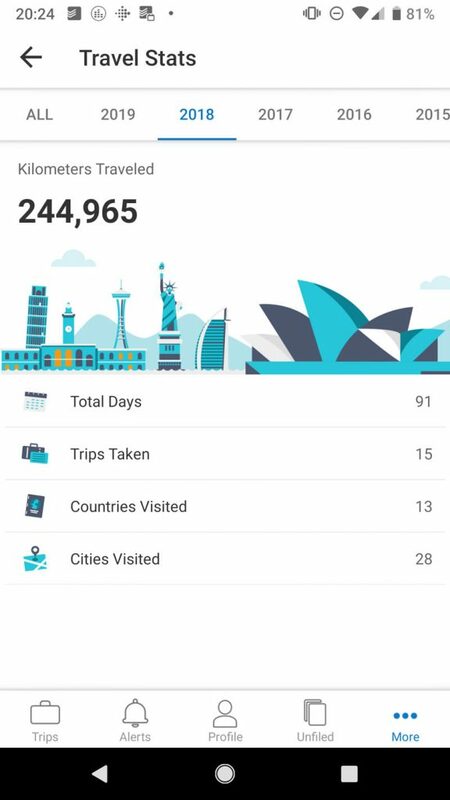 Give the Tripit app a try for free, and if you are travelling in the next thirty days, try out Tripit Pro to see how much time, headache and anxiety it can save you. Safe travels! I trialled the app on both a Samsung Galaxy and an iPhone 5. The software performed equally on both platforms.